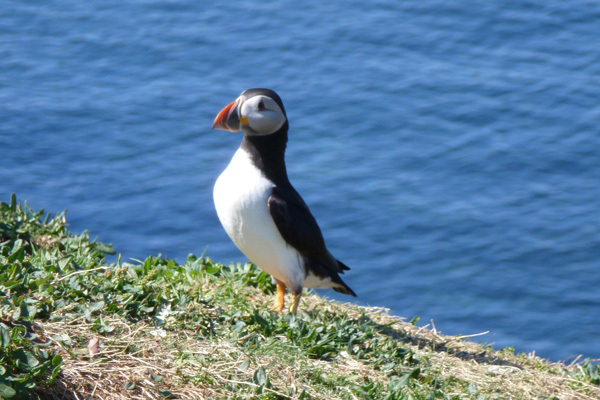 A popular day trip travelling by boat to the Treshnish Isles and Staffa to see the amazing sea bird colonies on the Isle of Lunga and the renowned Fingal’s Cave on Staffa. 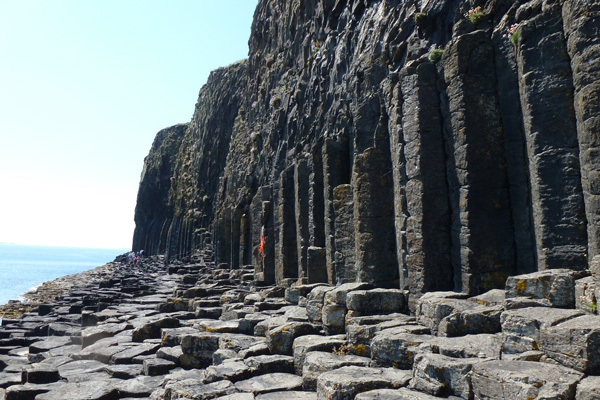 This account is based on a trip taken in May with Staffa Tours. 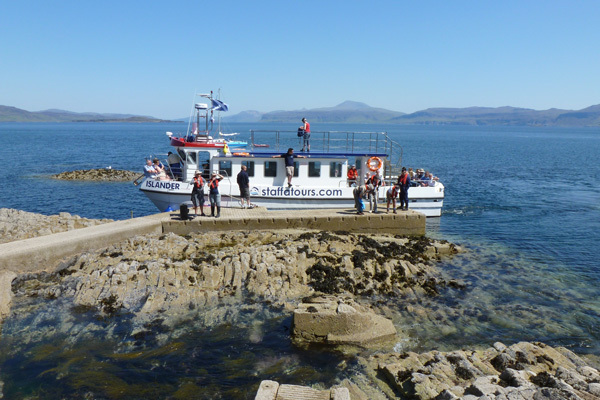 The Staffa and Treshnish Isles Wildlife Tour currently runs on four days each week and can be picked up at either Tobermory on Mull or Kilchoan on the Ardnamurchan peninsula. The MV Islander is a good size, fairly fast boat, with indoor seating at the front of the boat and outdoor seating at the rear of the boat. There is also a standing area on the top of the boat. There is a toilet on board, but you need to bring your own refreshments, including lunch. Stout footwear is also recommended. We found the crew members to be friendly and knowledgeable throughout the trip and also very helpful when accessing the shore at Lunga. On leaving Kilchoan the boat skirts around the western shores of North Mull, before heading off the Treshnish Isles and Staffa. 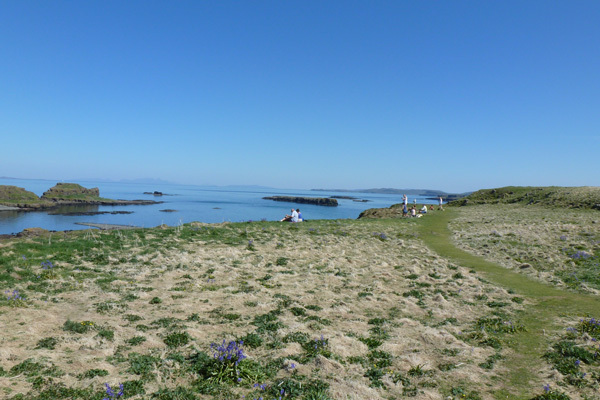 Good views are afforded on route of the Ardnamurchan peninsula with its lighthouse and the coastline of Mull. 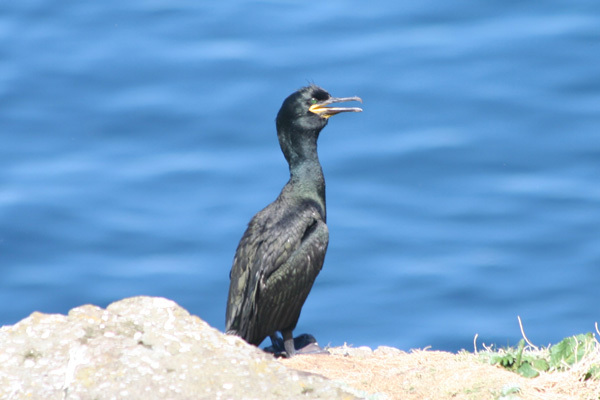 Look out on route for small congregations of auk bobbling on the open seas, and gannets and gulls gliding above, as well as cetaceans breaching and the dorsal and tail fins of basking sharks, if lucky. 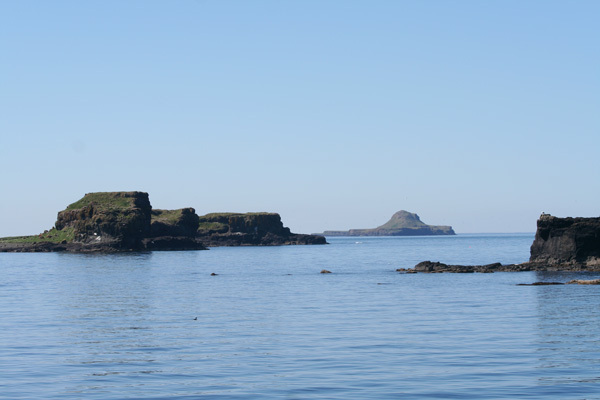 The Treshnish Isles, a small archipelago of volcanic islands and skerries, soon come into view with the distinctive profile of Bac Mor, referred to as a Dutchman’s Cap clearly visible. Lunga is the largest of the islands and the destination of this cruise. On reaching Lunga, the boat moors on one of the floating pontoons, adjacent to the boulder beach, which acts as a landing platform. 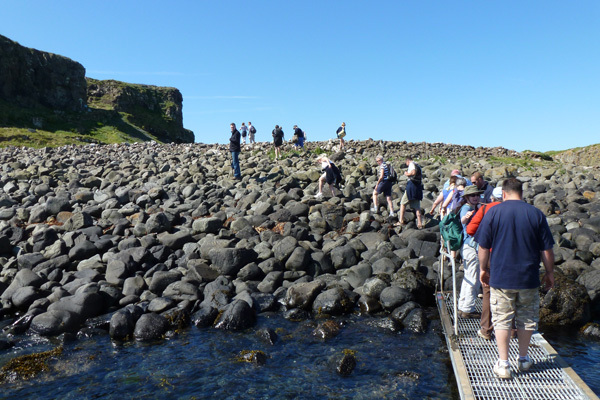 Access to the island involves walking across rocks, boulders and pebbles followed by a steep climb along a loose gravel path to the top of the cliff. As such, this landing could present considerable difficulty for anyone with mobility issues. However, the crew are willing to help and give support on request. 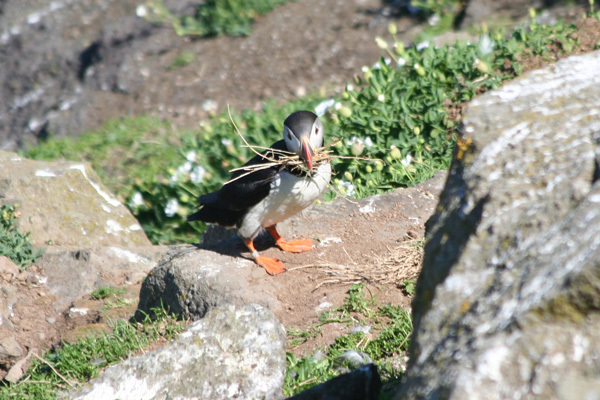 Once at the top of the cliff you are immediately rewarded by good views and close encounters with cliff-nesting puffins using earth burrows. 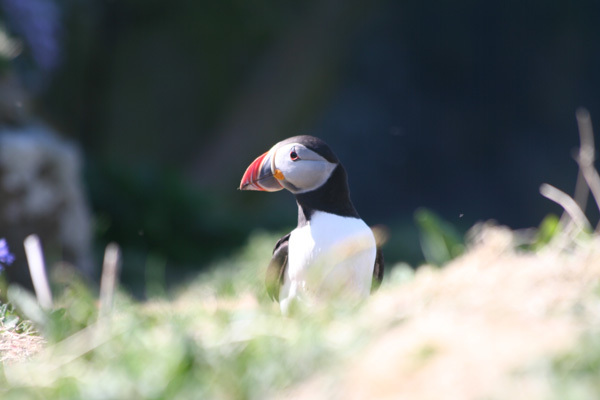 We spent some time here photographing puffins, before heading off on the coastal path towards the village of Lunga, mainly through species- rich coastal grassland, which is abundant with wildflowers in Spring and early Summer. 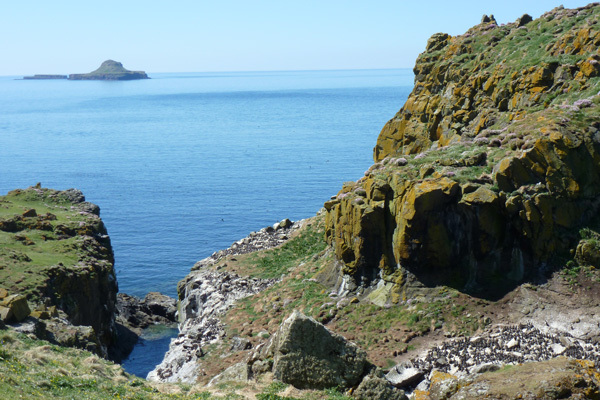 It is well worth wandering along the coast to see the sea stack known as Harp Rock, which is cloaked with innumerable guillemots and razorbills jostling for positions and whose raucous and moaning cries, makes for an incredible soundscape. 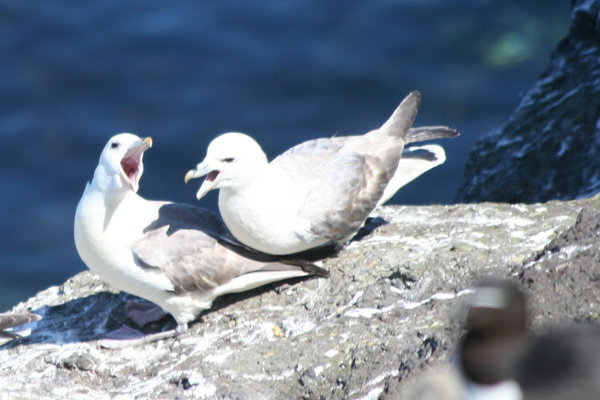 Listen and look out on route for kittiwakes and fulmars nesting precariously on cliff ledges, whose presence is often heralded by a chorus of ‘kittiwayees’ and ‘chuckling’ calls. 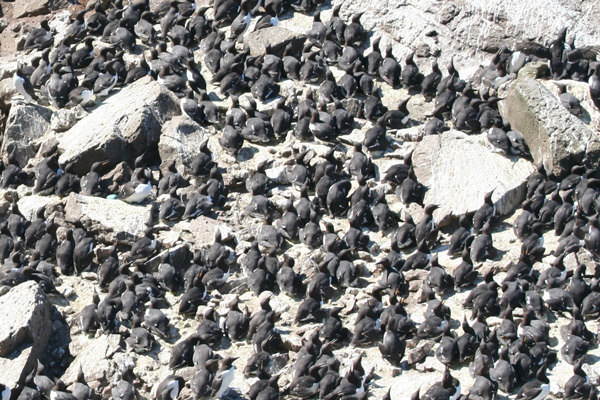 Look out also for colonies of shag on the lower coastal ledges. 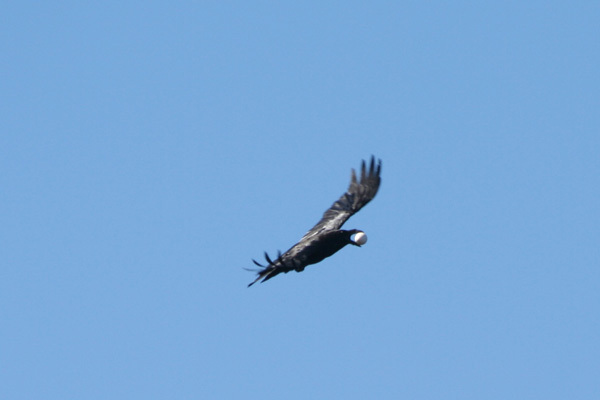 Ravens, herring gulls, buzzards, black-backed gulls, hooded crows and skuas can often be seen swirling overhead seeking to take advantage of any unguarded eggs or chicks. 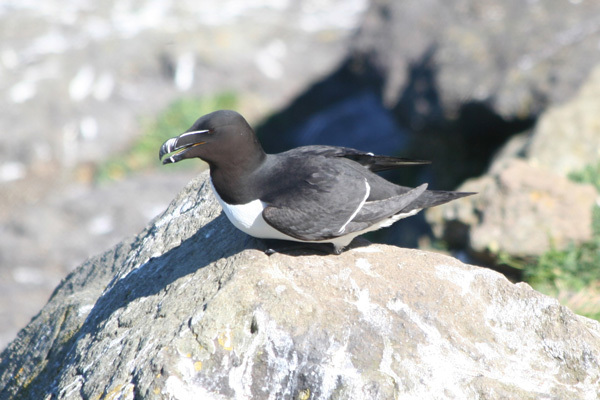 The surrounding coastal waters are also dotted with black and white profiles of puffins, razorbills, and guillemots, bobbling up and down in the swell in their 100s. Look further offshore for gannets, eider duck and red-throated divers. You can continue on the path to the far side of the island if time permits. 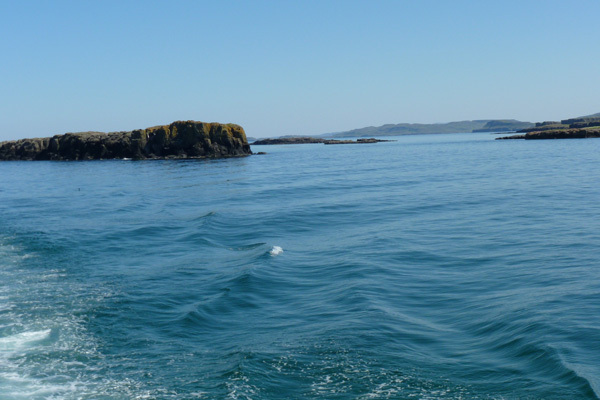 Approximately two hours is spent on Lunga before the boat heads off to the Isle of Staffa. 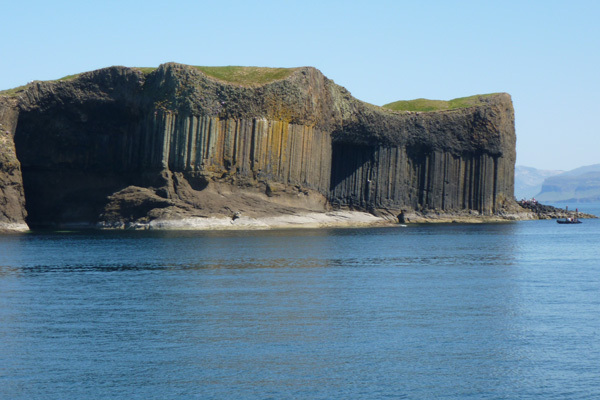 The Isle of Staffa has been designated as a National Nature Reserve. 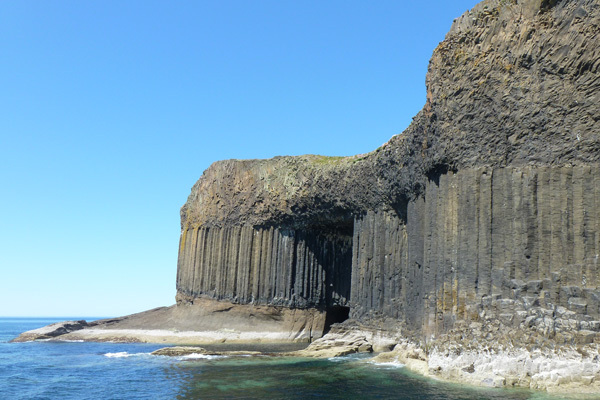 It is not only an important breeding colony for seabirds, but it is also renowned for its innumerable basaltic pillars formed from the cooling of molten lava to geometric columns. 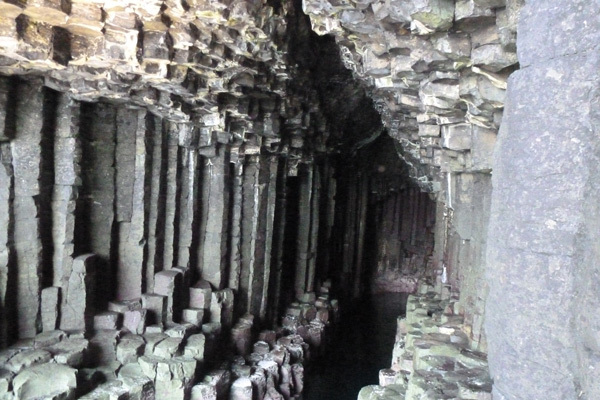 The large cave on the south side of the island, Fingal’s Cave, has been a Mecca for travellers for centuries and the inspiration for Mendelssohn’s Hebrides overture (known as Fingal's Cave). 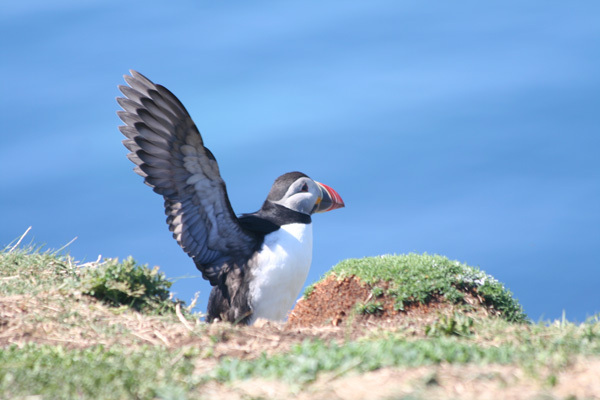 Look out for seabirds and cetaceans on route, particularly as you approach this amazing island. The boat moors on a small jetty on the south side of the island for a short visit (30 minutes). This should be sufficient time to visit the cave which is reached by a short walk along a columnar basaltic pathway etched out the rocks. The pathway is very uneven in places, so particular care and attention is required. There are some hand railed sections on route, but it may not be suitable for those with limited mobility. Once reached, the cave is a truly impressive sight, with its mainly hexagonal columns extending from the sea to the roof of the cave in multiple rows, and tinged with green pink and black. There is a small viewing point at the end of the pathway to take in the splendours of the cave, before retreating by the same route. If time allows you can also climb to the top of the island to view from a distance several stone structures and the ‘rig and furrow’ agriculture, as well as a ruined building, thought to be either a folly or a shelter for travellers. 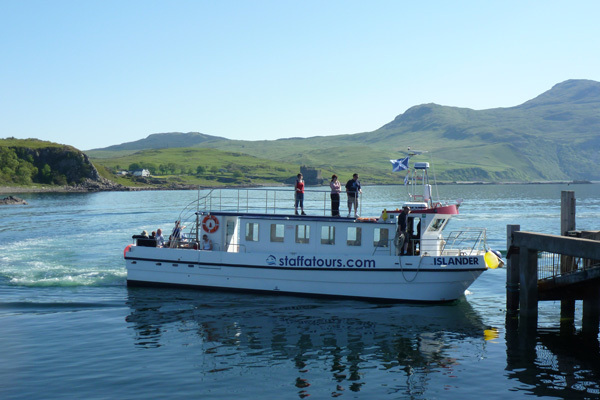 However, you should note that Staffa can get busy at times, and this may limit what can be achieved in your short stay. 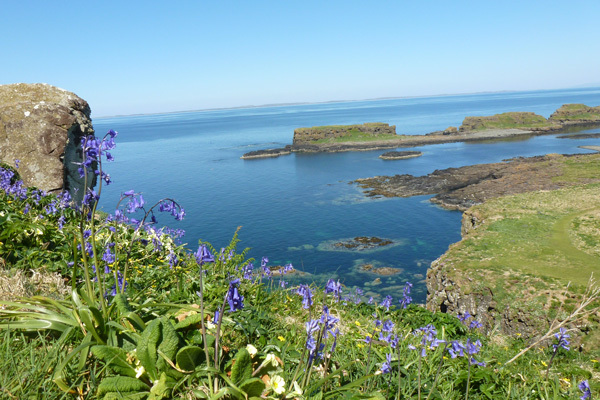 The water around the island is clear and provides opportunity for admiring some of the marine coastal inhabitants of the coastal edge and small rock pools, including the arthropods, molluscs and jellyfish. 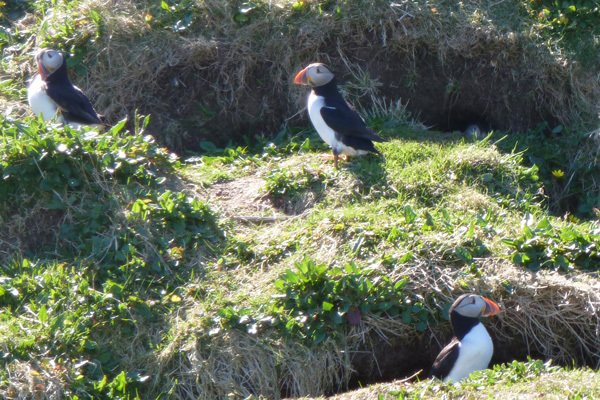 This is a truly amazing adventure providing a wonderful opportunity to experience seabird colonies at close quarters and captivating and inspiring Fingal’s cave. A great day out if staying in Moidart and Ardnamurchan.